On Saturday, 14 October 2017, the World of Wine will pay tribute to South Africa’s most iconic indigenous grape variety. A local at heart, the Pinotage grape was created in 1925 when Professor Abraham Izak Perold crossed the well-known varieties of Pinot Noir and Cinsaut. The iconic Pinotage was born. Since then, this grape variety has served as the basis for many fine wines, being used both as a blend and as a single-varietal. It is one of the major reasons South Africa is often regarded as a leading producer in the global market. This year several wineries, in collaboration with the SA Pinotage Association, will celebrate the great grape itself by offering promotional deals and specialised events at their wineries on October 14th, more commonly known as International Pinotage Day. Backsberg is no exception. This year we’ll be offering Pinotage lovers an array of options to whet the palate. There will be a vertical tasting of five Backsberg Pinotage wines at R25 per person and promotional deals on our fabulous maiden release Pinotage Rosé and well-known Pinotage. In addition, the Backsberg Restaurant will be dishing out the good stuff with a Pinotage inspired beef burger paired with a glass of either Pinotage or Pinotage Rosé for just R100 per person. Join us and be a part of the magic that is Pinotage. 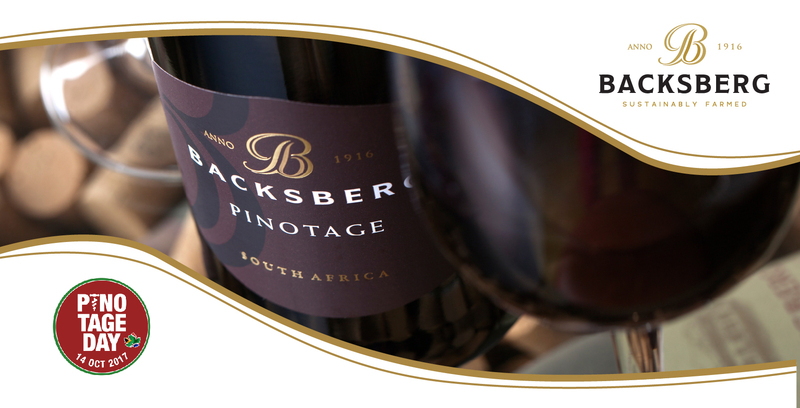 For bookings and enquiries, call 021 875 5952 or contact the estate via email at restaurant@backsberg.co.za.